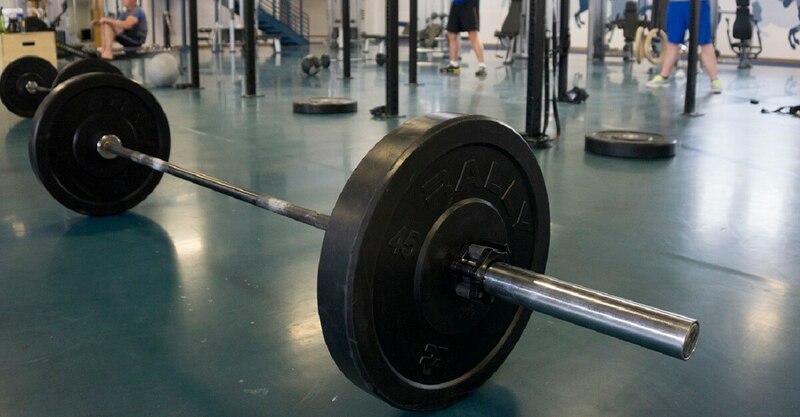 A quick glance around a base gym reveals too many military men and women spending too much time doing too many of the wrong things. Left to their own devices, they focus on the bench presses, squats and deadlifts they have been doing since high school. Maybe they throw in some single-joint exercises for good measure — after all, who doesn’t want to look great with their sleeves rolled up? They live in a military culture that obsesses over fitness and nutrition. Despite having greater access to expert (and not-so-expert) advice on more health-related topics than ever before, the military is still struggling with high occurrences of exercise-related injuries. The Army alone spends $3.8 billion annually on musculoskeletal injuries. Forget about aesthetics or your 1RM deadlift. The focus should be on training as a tactical athlete for what matters most: performing the real-world tasks that could be a matter of life and death. Tactical athletes who only squat, deadlift, and bench — and then deploy into a three-dimensional environment — will be in trouble. While the Army can create tests that require soldiers to work out in order to pass them, and work stretching and physical therapy into scheduled PT, there isn’t much leadership can do when it comes to what their joes eat. Three-plane approach. Incorporate the full spectrum of strength, speed and power in all planes of motion. If all you do is squat, bench and deadlift, you’re training the sagittal plane but ignoring exercises that involve rotation (transverse plane) or lateral movements (frontal plane). Your body is lacking symmetry and is vulnerable and untrained in those areas. A great rotational exercise for the torso is the half kneeling tube rotation: Anchor a tube to the wall so it’ll be at chest height when you’re on one knee. Face perpendicular to the anchor with your knee closest to the anchor on the ground, then grab the handle and move away from the anchor to create tension in the tube. With arms extended in front of your chest, rotate your torso over the outside leg without allowing your hips to move. Flex the abdominals and maintain tall spinal posture throughout. Quality over quantity. For some service members, it is more appealing to lift 500 pounds poorly than 300 pounds properly. Placing an emphasis on quality sets you up for longevity. You’ll perform and feel better as you age. Maintain a good base of support: Balanced symmetrical foot position that is typically between hip- and shoulder-width apart. Keep neutral hips and spinal posture. Imagine your hips as two bowls side-by-side filled with water. Neutral is any angle where no water spills. Create intra-abdominal pressure: Fill the belly up with air prior to movement, maintain pressure throughout, and exhale back at the start. Stretch and recover. You have to be able to counter the stresses of your job and your exercise — that means you have to stretch and perform some soft-tissue work. Most exercise-induced musculoskeletal injuries are preventable. Decreasing your exercise volume every few months and incorporating recovery into your daily regime is key. Every day, perform soft-tissue work and stretch the muscle groups worked in your training that day. If you performed lateral and medial hip work, for instance, use a foam roller to attack your gluteus medius (side of the pelvis), tensor fasciae latae (outside of your upper thigh) and adductor group (inside upper thigh). Follow that up with a figure four and frog stretch to lengthen the tissue. Check out this video for guidance. You can still get strong. Building muscle isn’t the problem: In fact, being stronger reduces the amount of perceived stress and increases the body’s ability to absorb and produce force. It’s how and where you build that strength, and what other areas you might be neglecting as you begin another set of biceps curls, where problems come in. Capt. Anthony Cruz is a former officer in charge of the Army Master Fitness Trainer Course and current Medical Services officer in the Army Reserves. He coaches full-time at Dynamic Fitness High Performance Kinesiology, where he works with recruits, active-duty military, fire and police, as well as veterans. He earned a master’s degree in exercise science. Get more workout tips from his cheat sheet, “7 Powerful Ways to Peak Performance,” here and follow him on social media (@dftacticalperformance).